Netflix has released the official Bird Box trailer for Sandra Bullock’s post-apocalyptic horror thriller based on the novel by Josh Malerman. Academy Award winner Sandra Bullock (Gravity, Crash) leads an all-star cast that includes Trevante Rhodes (Moonlight, The Predator), with Golden Globe winner Sarah Paulson (American Crime Story, Ocean’s Eight), and Oscar nominee John Malkovich (In the Line of Fire, Burn After Reading) in the compelling new thriller from Academy Award winner Susanne Bier (In a Better World, The Night Manager). Bier directed the movie from a screenplay by Eric Heisserer (Arrival). 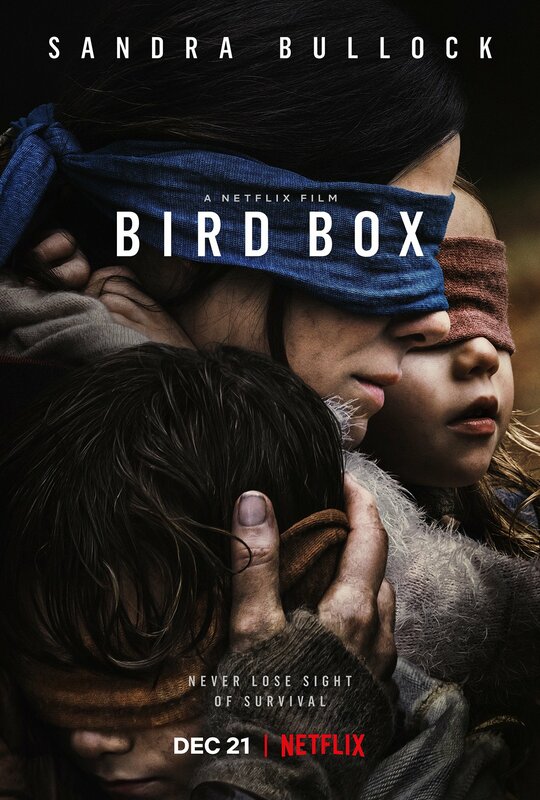 Bird Box was produced by Dylan Clark, Chris Morgan, and Clayton Townsend. The feature also stars Jacki Weaver, Rosa Salazar, Danielle Macdonald, Lil Rel Howery, Tom Hollander, Colson Baker, and BD Wong. Bird Box will arrive in select theaters and on Netflix on December 21.